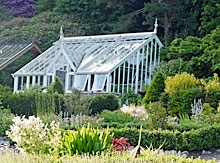 In 2005 a major restoration programme began to rescue the victorian garden which had been abandoned since the 1960s. 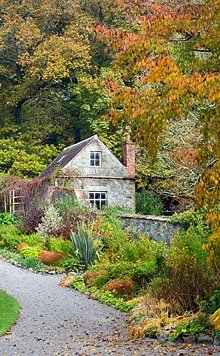 The garden was completely overgrown; trees, brambles, braken and weeds had taken over, the walls were beginning to crumble and the greenhouse was so derelict it was dangerous to enter. 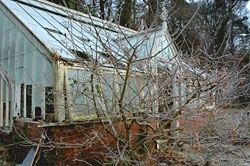 Urgent work began to clear the site, work the soil, repair the walls and save the greenhouse. 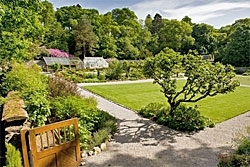 The one acre site has now been re-landscaped and the bones of the new ornamental garden are now in place. 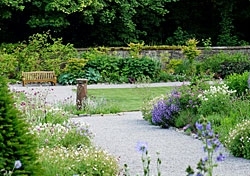 The planting style is informal and full; mixed with a selection of hardy trees shrubs and perennials chosen to suit the cool, wet conditions of South West Scotland. A magnificant display now awaits every visitor throughout the season. Hopefully this paradise regained will inspire today and in the future. Copyright © Shambellie Walled Garden 2012. All rights reserved.